Bahco is offering you the chance to win a reversible wide jaw adjustable wrench. Bahco’s Swedish founder invented the first adjustable spanner with the aim of giving users ‘an extra hand’. It has now evolved to become the adjustable wrench, described as a toolbox essential. The Bahco 9031 reversible jaw 8” adjustable wrench opens to 38mm, which is said to be wider than what a standard 12” wrench can achieve and 40% greater than what a standard 8” wrench can achieve. The reversible moving jaw, with pipe grip facility, also enables the serrated side to be used as a pipe wrench. 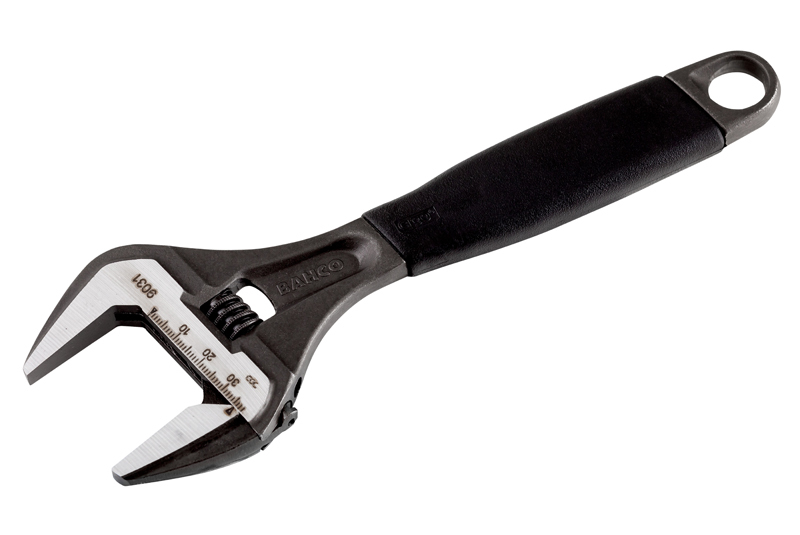 Precision hardened and anti-corrosion treated, the wrench also features a slip resisting handle and left-reading metric scale.